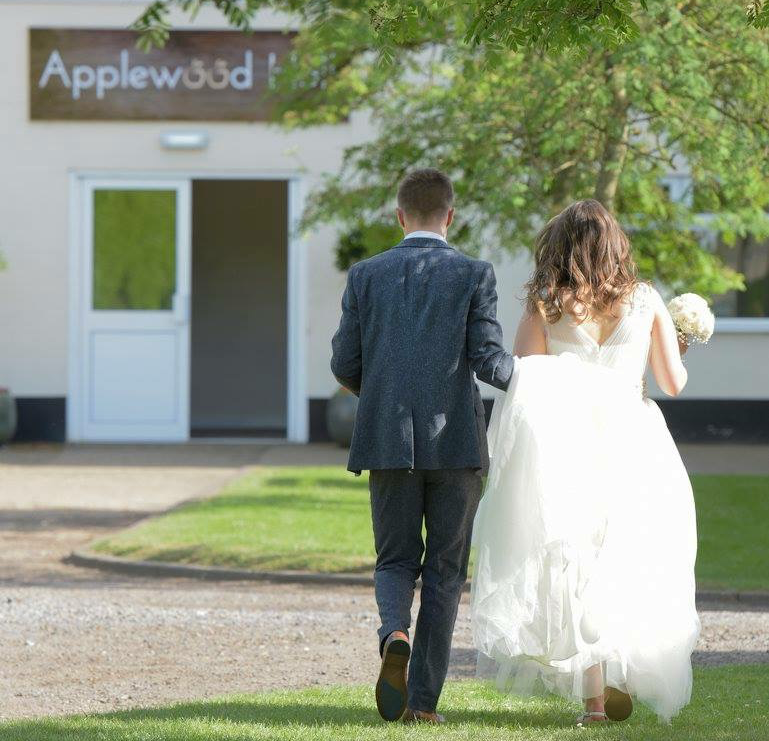 Situated in the quaint village of Banham, one of Norfolk’s best-kept secrets, Applewood Hall offers an undeniably unique venue for your special day whether it’s an intimate gathering or a grand affair. Within the rustic charm of our marquee lined hall, you will find not only your perfect wedding venue, but a friendly and professional team ready to deliver the day of your dreams so you can relax, with the peace of mind that the essential elements of your day are all taken care of. This beautifully landscaped space features a custom-built gazebo, contemporary outdoor furniture, lush greenery and cottage garden flowers inspired by the British countryside. 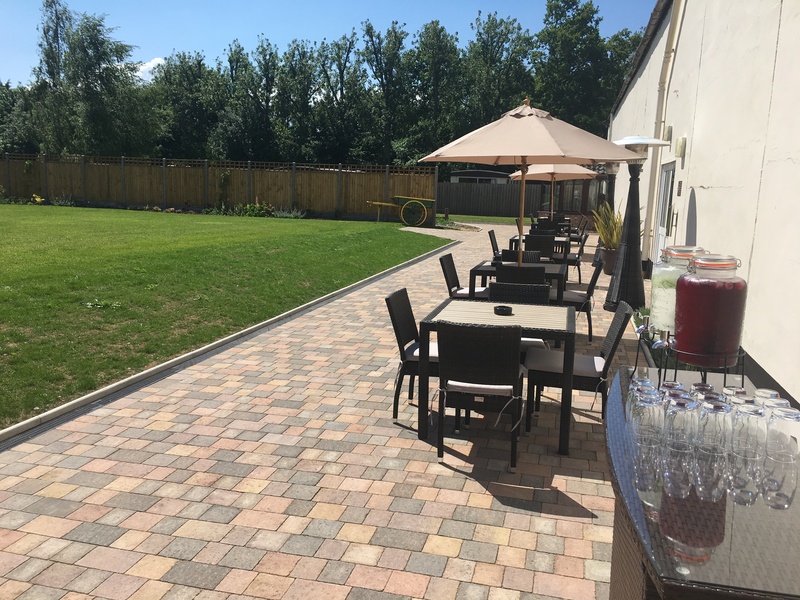 The perfect backdrop for wedding photos and alfresco drinks in the sunshine! Please take a look at our gallery to see some of our most recent weddings. Whatever the season you are getting married in, we can assure you that Applewood Hall will provide a stunning backdrop to your day. 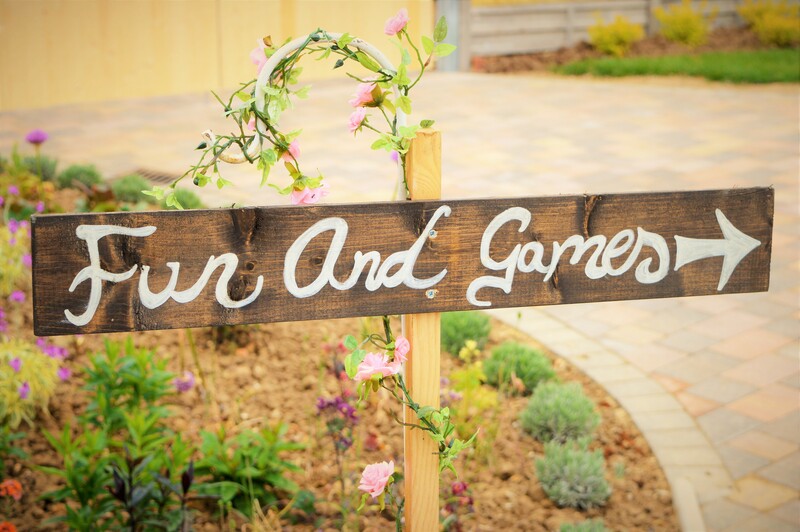 Outdoor ‘duo’ ceremonies are also possible with couples being able to exchange their vows in the garden, before heading indoors to our new ceremony space, the Orchard Room to complete the legal formalities. Winter weddings are magical, romantic – and most importantly – budget friendly! If you are looking to book for the month of November, January, February or March, we offer a special seasonal package. For further details, please contact Kiera Goymour on 01953 715336 or email kiera.goymour@applewoodhall.co.uk. Please contact us to check availability of your preferred date. Couples may provisionally reserve a date with us for a period of 14 days whilst availability of your registrar or church is being checked. If you’re thinking about getting married in the next few months, don’t worry we may still be able to host your special day. We do have some short notice dates, especially if you’re looking for a weekday or Sunday wedding. You really can tailor the day to suit your wishes, so if you would like something just that little bit different, please do not hesitate to contact Kiera Goymour on 01953 715336 or email kiera.goymour@applewoodhall.co.uk to discuss your requirements or to make an appointment to view the Hall.